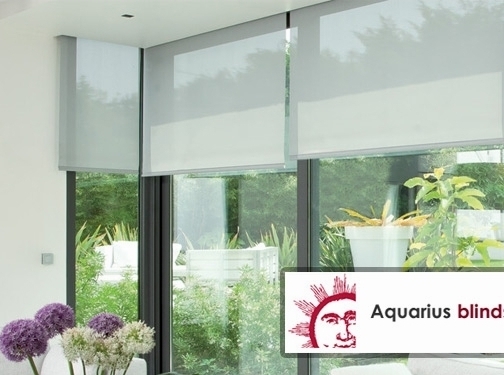 Aquarius Blinds are a family owned business based in Surrey, offering expert advice on all kinds of blinds including commercial blinds and domestic blinds. With experience designing, manufacturing and installing blinds for homes across the UK since 1986, you can count on the friendly and professional team at Aquarius Blinds to deliver the perfect blinds for your home or business. Whether you need printed blinds to show off your company logo or beautiful, patterned blinds to match any room in your home, Aquarius Blinds can help design and install the ideal blinds for you. Whether you're looking for roller blinds, Venetian blinds, vertical blinds, wooden blinds or another style, pattern or material, speak to Aquarius Blinds today. From the initial survey to the final installation, Aquarius Blinds are dedicated to providing excellent customer service throughout the whole process to ensure that you are happy with the finished result. Visit the Surrey showroom for a friendly chat, or visit the website today for more information and to arrange a free survey. UK (Mitcham, Surrey) based business - with over 30 years' experience - providing commercial and domestic blinds for sale. Website includes product catalogue, testimonials, accreditations, details of business premises (showroom), work examples, news section, full contact details.